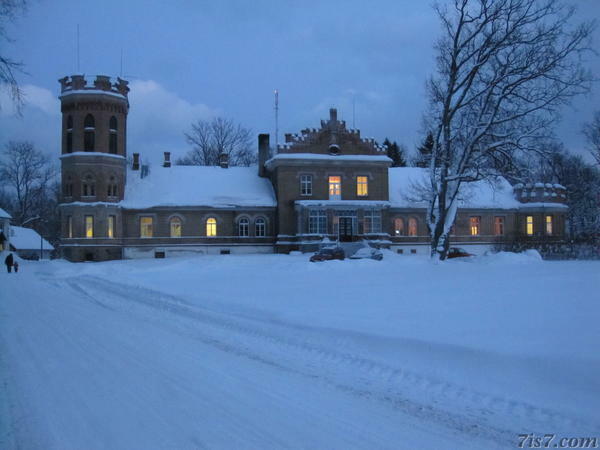 The present day neo-Gothic manor house at Lustivere was built between 1875 and 1881 and designed by architect R. Guleke. It replaced a previous wooden manor. A manor at this location dates back to at least 1552. A single tower at the end of one the wings is often seen in manorial complexes. Location: 58°39'48"N 26°5'27"E on: Google Maps, OpenStreetMap, Maa Amet.